In June of 2011 a flood struck her and several others in Minot ND. Standing water caused mold and mildew damage and made many homes unlivable. Patrice was no different in that regard. She had to gut the interior of her home. But there was one bright spot. 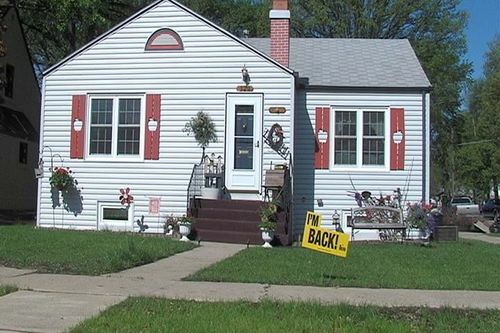 With a little cleaning she was able to save the vinyl siding that K-Designers had installed only two years prior. This is a picture of her home with her restoration complete 11 months later. Read the follow up story with video.